"These are reasonably priced ways to show your support of the Santa Cruz LGBTQ community and generate new business in the community." Four levels of visibility available for your listing. Premium Placement. Your listing featured in the top five listings in your category. * The logo size varies with the size and type of the viewer's display. The sizes quoted as 3.5" x 2" and 3.5" x 4" are typical for desktop displays. You may view full sized sample listing here. For reference only. Please browse our live directory to see how your listing might look. View the site on your smartphone, tablet, or desktop, to experience the listings in the responsive design for each platform. Lingering questions? 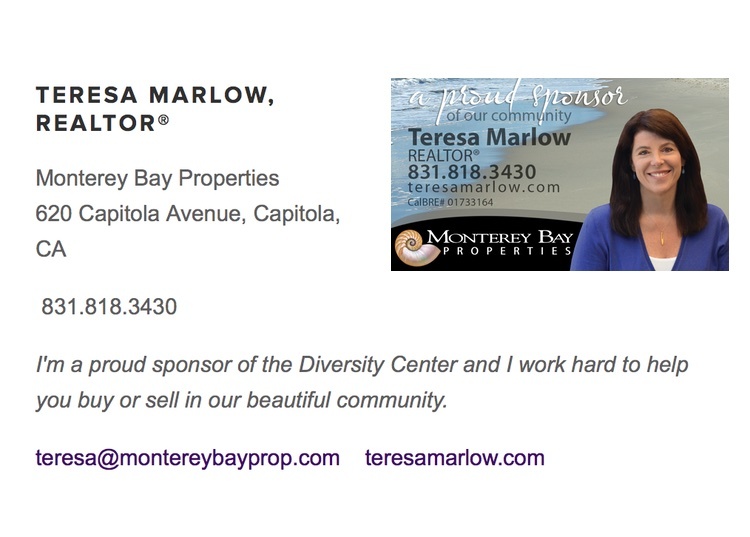 Check out our FAQ, email directory@diversitycenter.org or phone us at (831) 425-5422.